In October, the New York office of the Drug Policy Alliance and the Office of Academic Engagement hosted an influential conference, entitled White Faces, Black Lives: Race and Reparative Justice in the Era of A “Gentler War on Drugs.” Scholars and advocates - some of the most prominent thought leaders on health and drug policy - shared their research and perspectives on historical responses to drug use, the continuation of drug war tactics in some communities, the persistent criminalization of Black and Brown drug users, and the current political shift to a public health approach. “When the nation’s long-running war against drugs was defined by the crack epidemic and based in poor, predominantly black urban areas, the public response was defined by zero tolerance and stiff prison sentences. But today’s heroin crisis is different. While heroin use has climbed among all demographic groups, it has skyrocketed among whites; nearly 90 percent of those who tried heroin for the first time in the last decade were white. Panelists called out the hypocrisy laden in entreaties for a gentler war on drugs and together demanded acknowledgment for those who have suffered and still suffer under draconian drug policies, which favored prison over care. 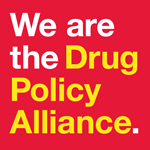 Our work to retract the reach of the drug war is more pertinent than ever. The appointment of Jeff Sessions as attorney general means that not only must we continue to push for evidence-based, non-punitive drug policy, but also fiercely protect past reforms that center people and families first. Need some more inspiration? Videos from all of the conference panels are available online. Share them with your networks to spread the work we all are embarking on together. We will continue to build out an agenda for reparative justice. We will take what we have learned from our time together in October and apply it to create a community-centered vision for a world without a war on drugs. We will define what reparative justice looks like to acknowledge, atone for, and act to end the drug war.